Resident Evil fans, rejoice! Resident Evil 6 released for Xbox 360 and PS3 back on the 2'nd of October last year. While some complained about the changes to the formula, others thought it was a great survival horror/action title. It was certainly a fun romp for co-op play. In case you haven't read our review, you can do so here. The PC version of the game will be released on March 22. It is available for pre-order on Steam for $39.99, and it has officially reached the third tier of extras. Those who pre-order the game will receive a digital artbook and soundtrack, a free PC copy of Resident Evil 5, and the complete DLC season pass. The season pass will grant access to the extra game modes including Survivor, Predator, Onslaught, and Siege. Also, Capcom has announced that those who pre-order in territories that do not offer Games for Windows Live will snag a copy of Devil May Cry 4 instead of Resident Evil 5. 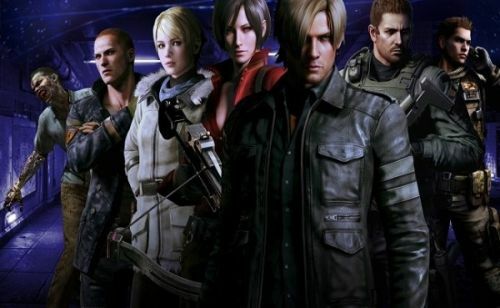 Look for the PC version of Resident Evil 6 to drop in a little over a week. If you do choose to purchase it, you will probably want to pre-order it for the great extras. The game features drop-in co-op for two players in campaign mode, and a cooperative Mercenaries mode. There will be no local play for the PC version. Page created in 0.6325 seconds.